Planning a wedding is stressful, we know that- and we are here to help. 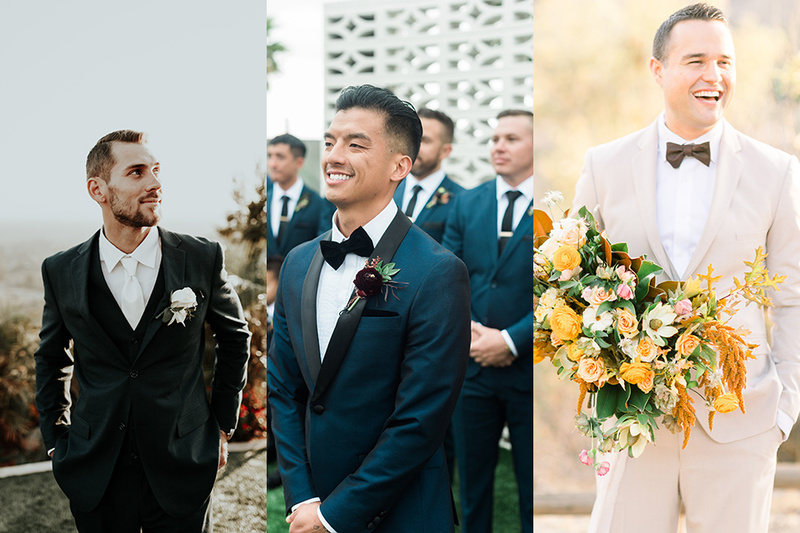 Here is a coupling of the upcoming palette trends for 2019 weddings, with the suit/tuxedo colors and options that we believe goes best with it. We hope this helps! Happy planning! 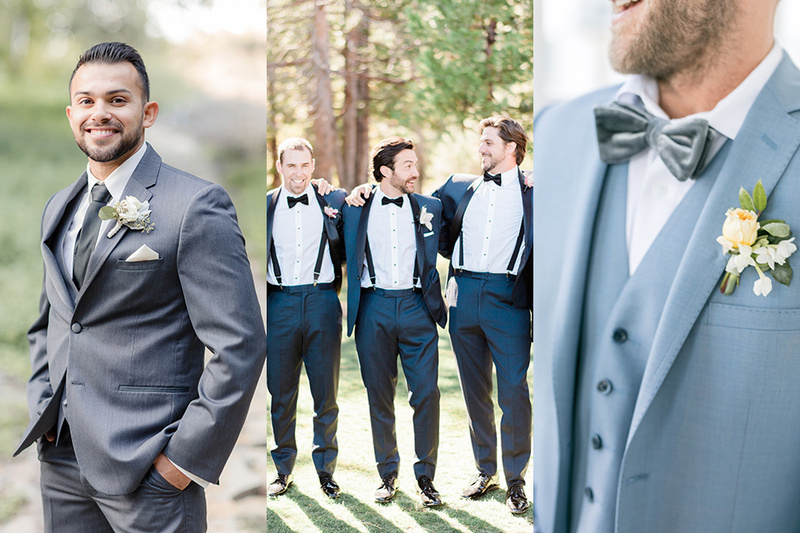 Dusty Blue has been an up-and-coming trend taking the wedding industry by storm, and honestly we are all about it here at Friar Tux! This color palette is based around being monochrome in your blues and accenting with sages and silvers. With this scheme we recommend any shade of grey suits, a navy tuxedo for some contrast, or our new light blue suit. One of our favorite ways to style our light blue suit is with our new velvet collection bow ties that will easily play up the color palette. 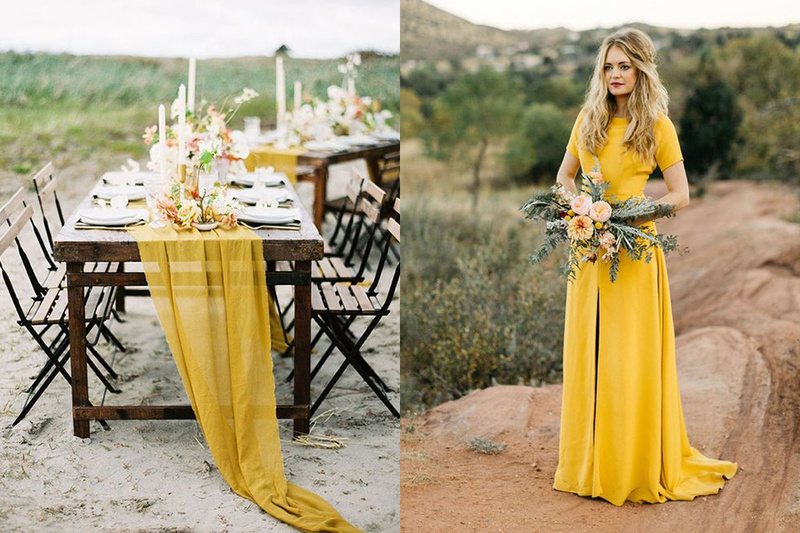 This marigold color is really coming up in the industry. It is bohemian and modern, and can be played up subtly in decor or boldly in fashion. With this color pallet we like to pair it with, well, anything! We love the way our slate blue suit compliments this, or simple black looks effortlessly chic. 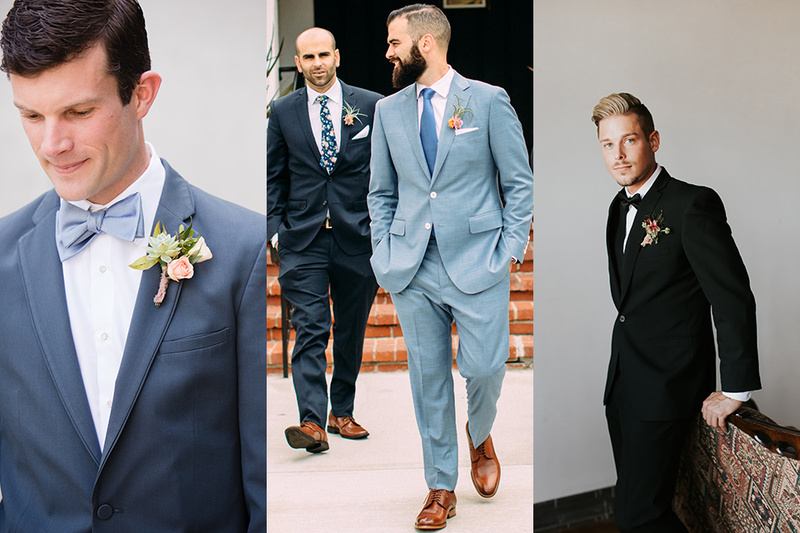 Yet the one that takes the cake: putting your groom in light blue and your groomsmen in dark navy. 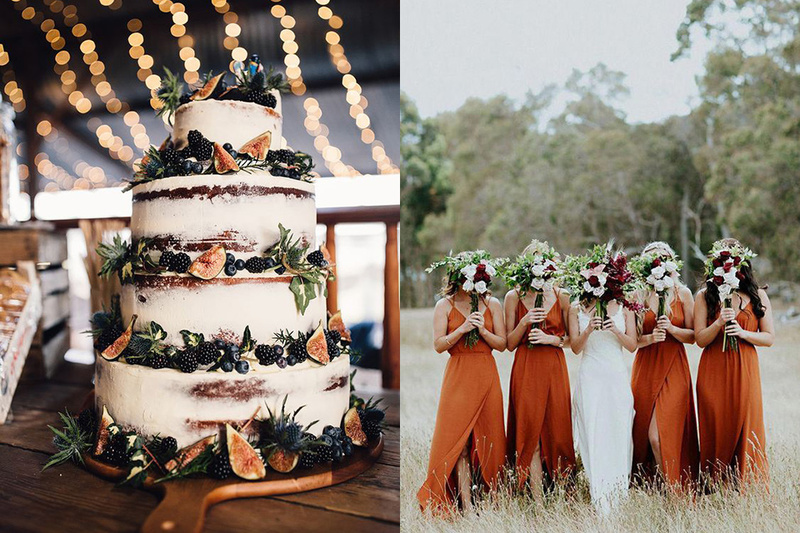 Yellow and blue will always look amazing together, and by incorporating different shades of blue within the bridal party will really play up this bohemian look. 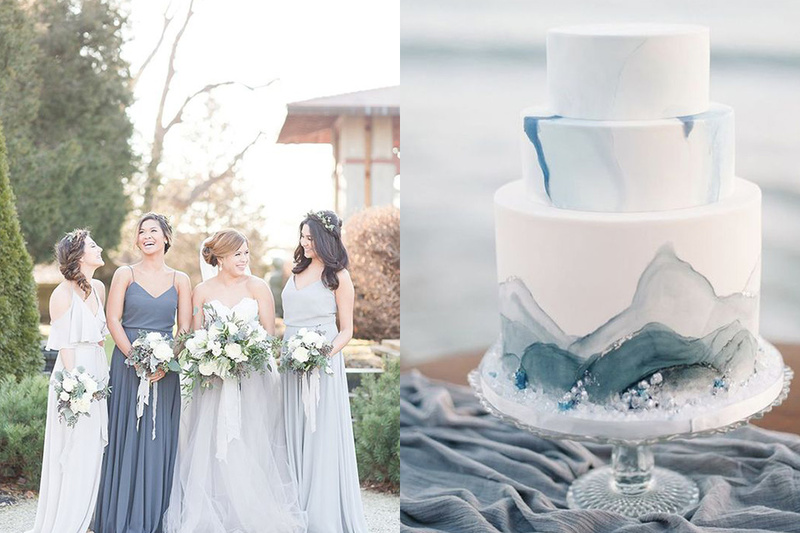 This wedding color scheme is pure fun, with a base of more neutral with deep blue hues and adding pops of bright pinks and purples in the decor and florals. 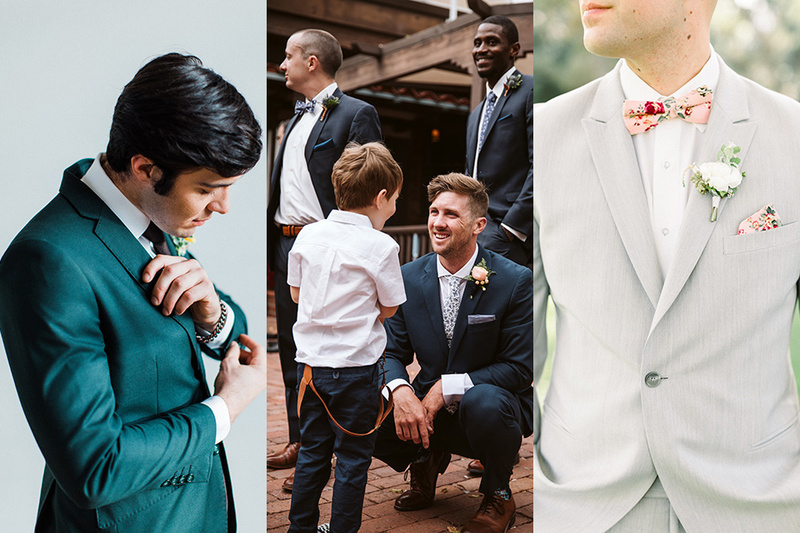 We recommend putting your groom in neutral tones: either a light grey, charcoal grey, or even a dark blue. 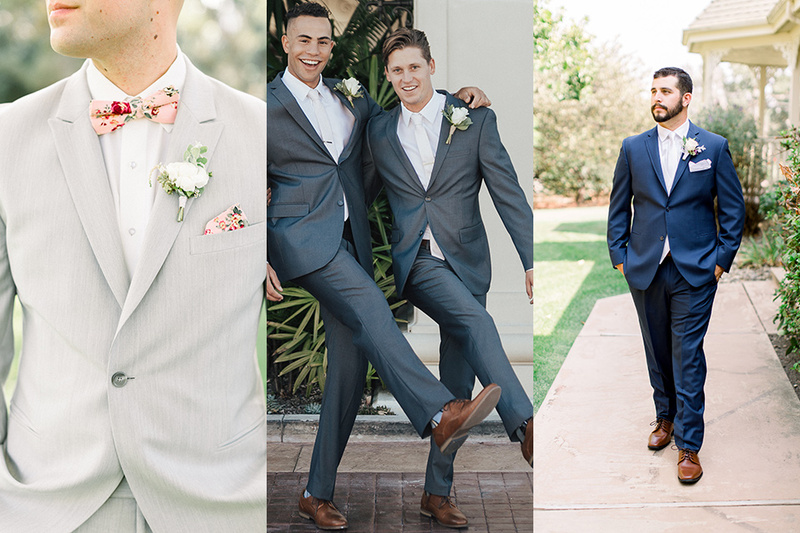 This will allow you to play with pops of color in your accessories, just like how our groom paired his light grey look with a custom (by us) pink floral bow tie. Moody Maroon color palette is really simple: deep maroon/burgundys with blush and neutral tones. How do you pair a look with this? 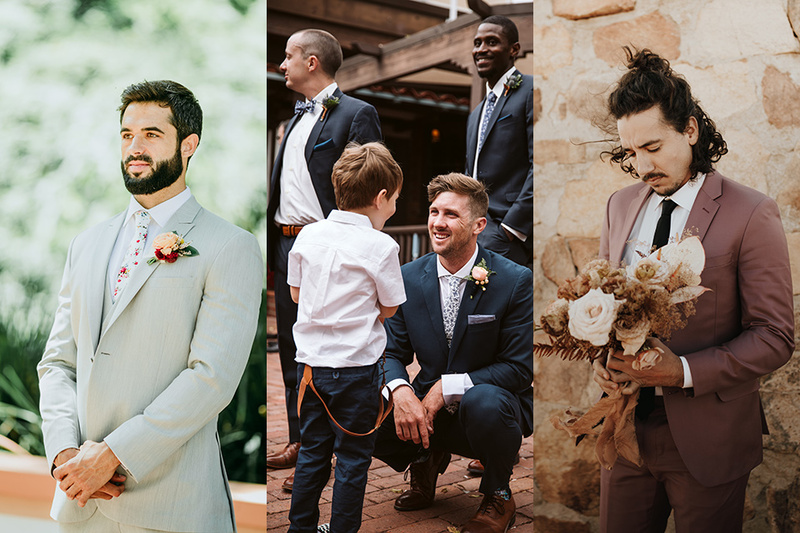 Easy: burgundy tuxedo is a given, a tan suit with rustic charm, or all black! 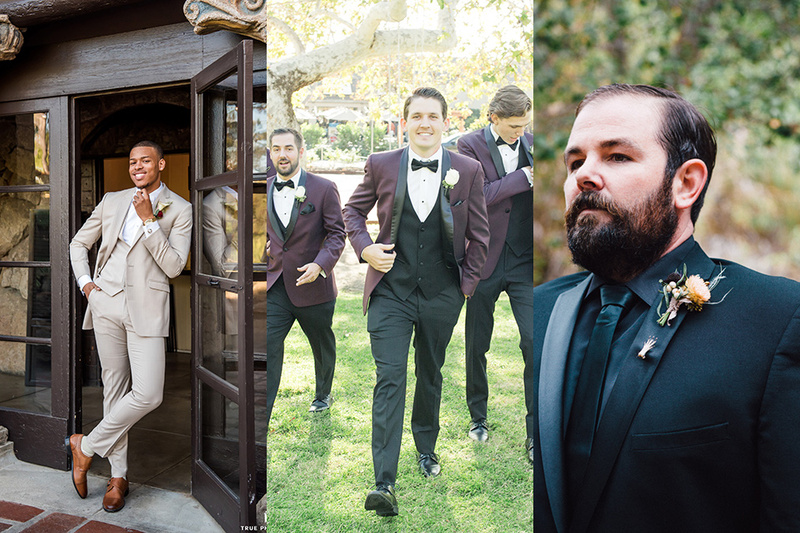 All black looks chic and really does play up with moody vibes, especially if you are like our groom Cody here who paired his look with an interesting lapel pin. 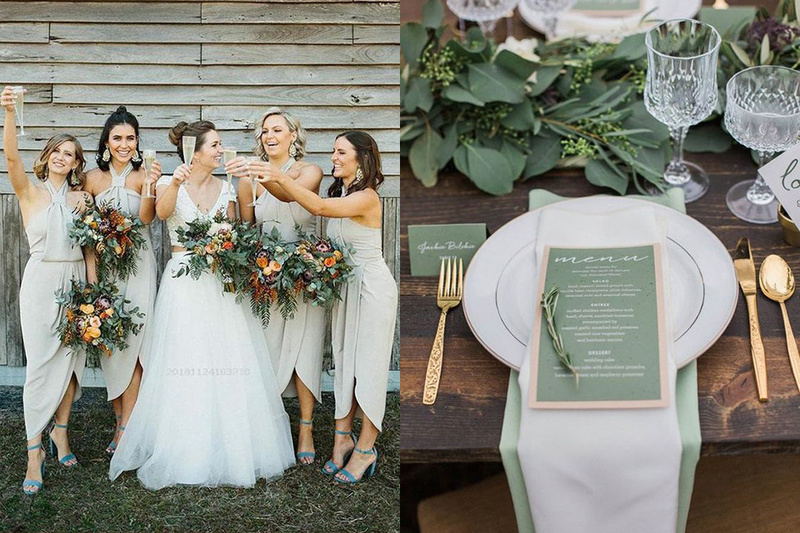 Okay, we love love love this color scheme! It is trendy and fun. 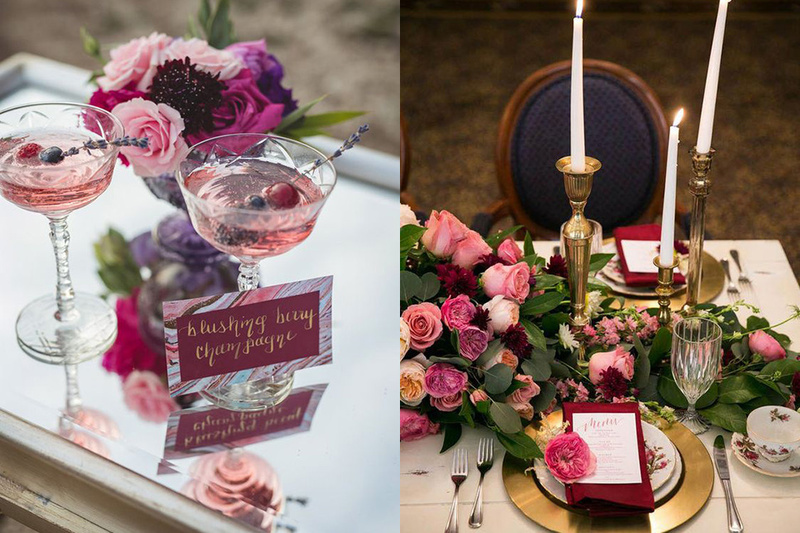 Pink weddings have always been a hit, since pretty much forever. Yet this more dusty rose color modernizes the color palette. Light grey will always look great with pink, so will dark navy, but our pride-and-joy and fave pick for this palette (that will be hitting a Friar Tux near you soon)...our Rose Pink Suit! It is a subtle shade of pink that plays up nicely in any venue and decor. Sultry Sage is a look that is very earthy and effortless. 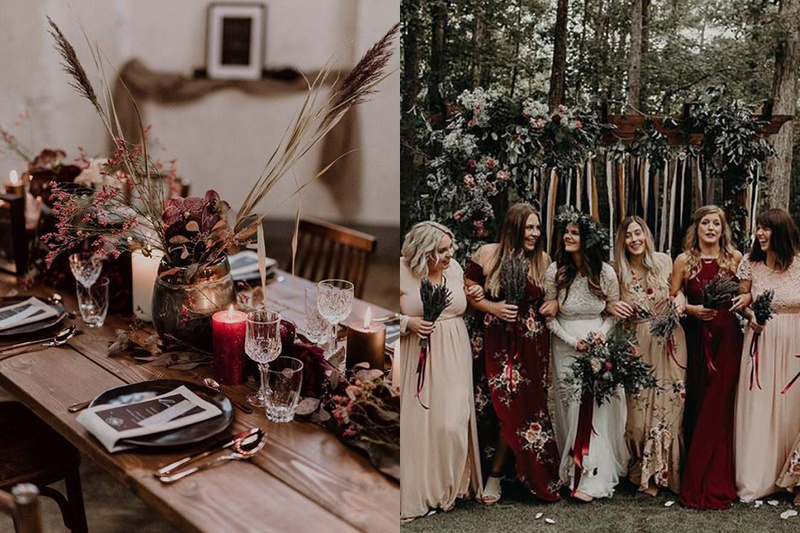 A great way to get that same feeling in your bridal party is to pair this with dark blue suits, or even simple black tuxedos. Another great way to play up the color is by pairing the look again with one of our newest styles coming soon, our Dark Green Suit. Before using oranges and browns were mostly used in the fall and winter months, until some genius realized this color is great anytime of year! 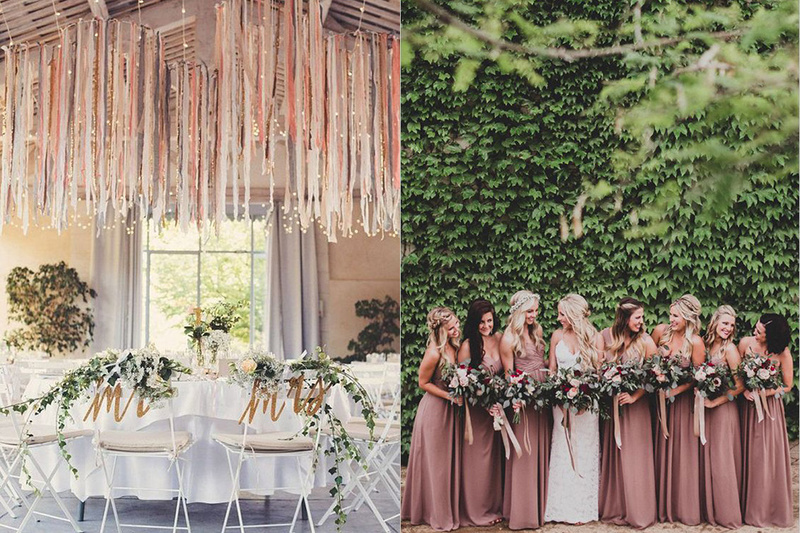 We love the copper and orange tones that are immersed with this theme. With that, you can easily pair this with our tan suit or a simple black suit. Yet we highly recommend our navy tuxedo. 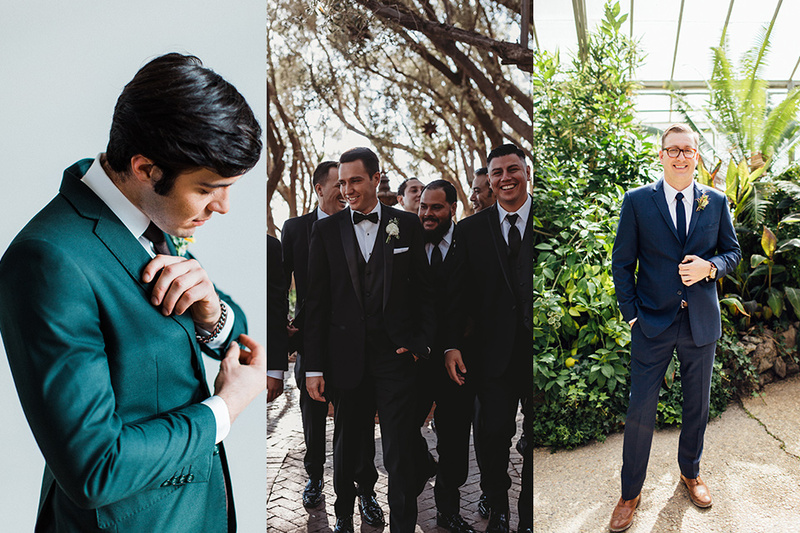 Mixing a tuxedo in a more earthy and organic setting is always a chic way to play with style on your big day. The deep blue compliments with the yellow and orange tones of the decor while still standing out on its own.